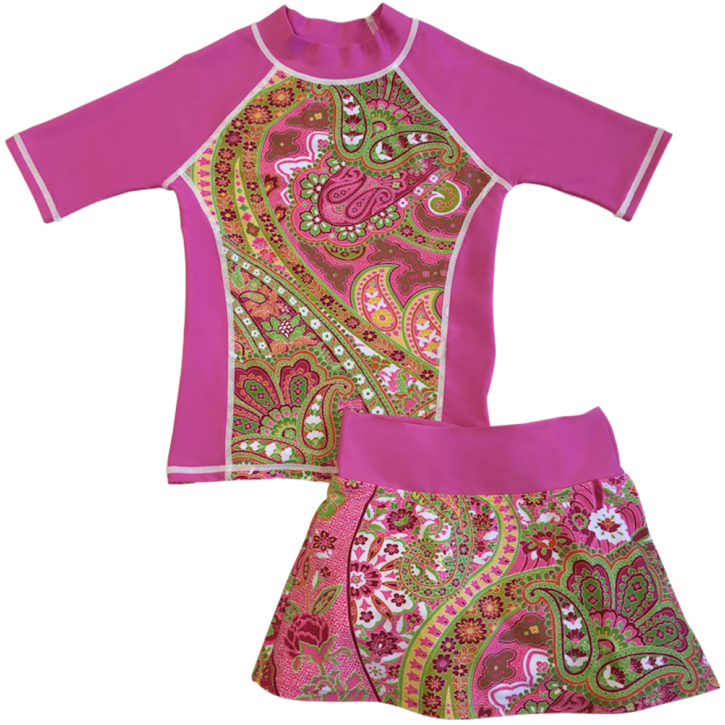 This 2 piece rashguard set has a glam pink floral pattern with its foldover skirt waistband, which can also be worn up for more modest coverage. 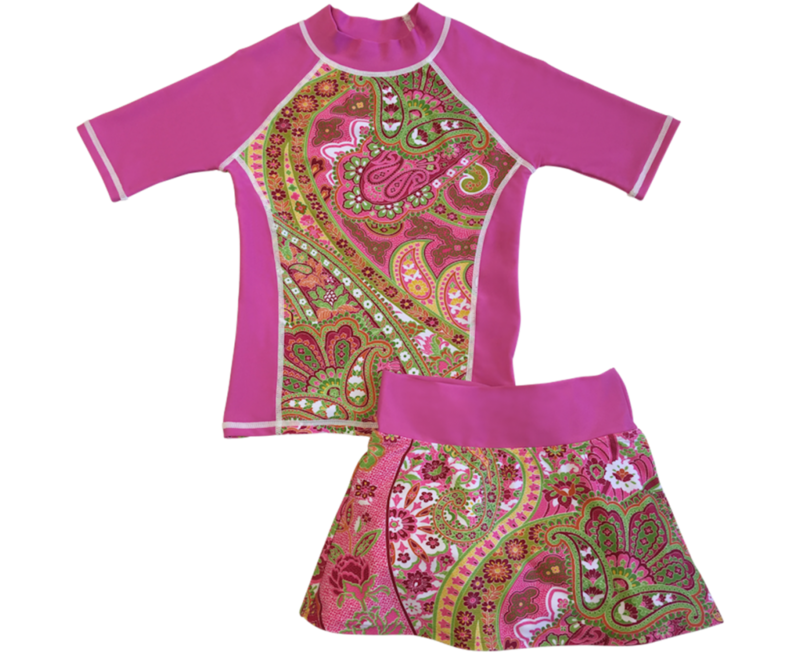 With a comfortable helenca lining, this adorable matching UV skirt set provides maximum sun protection for the beach, pool or just hanging out. Consult our size chart for ordering.